​Hong Kong, 13 June 2014 – CBRE is pleased to announce that Andrew Nicholson will join the firm as Executive Managing Director, Head of Asset Services for Asia Pacific in September 2014. He comes to CBRE from Swire Properties Ltd., where he held the role of Portfolio Manager and was responsible for the management of a commercial and development portfolio worth in excess of USD2.5 billion. 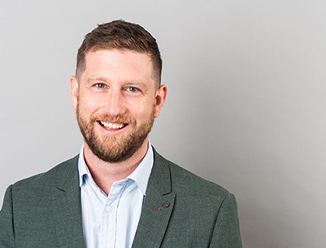 Mr Nicholson is an experienced asset manager with over 10 years’ international experience across management, acquisition, development and disposal. At Swire, he was directly responsible for all asset management functions for nearly 2 million sq. ft. of Hong Kong office investments, in addition to having managed major commercial developments on behalf of European and Asian JV partners. He has also completed a high volume of leasing transactions with key corporate clients and is an active member of the RICS and ULI. He holds a Masters in Real Estate, from Kingston University and is an MRICS Chartered Surveyor. Since 2011, he has lectured on asset management to EMBA students of the International Real Estate Business School (Regensburg University, Germany) and with the Asian Cities program of the Real Estate Academy in China in conjunction with Tongji University, Shanghai. He will remain based in Hong Kong. Mr Nicholson succeeds Sam Cuccurullo, current Executive Managing Director and Head of Asset Services for CBRE Asia Pacific. Mr Cuccurullo will retire from the company toward the end of 2014 after 19 successful years with CBRE. He will remain with the firm for the coming months to ensure a smooth transition for the business and our clients, before returning to Sydney with his family. During his time with CBRE, Mr Cuccurullo has grown the Asia Pacific business, winning some of the region’s largest asset services contracts. His visionary leadership has seen best-practice platforms rolled out across the region for his clients and he remains an exemplary professional with his approach to building long-term client relationships. Sam has also been instrumental in CBRE’s charity fundraising efforts, particularly via his five-year involvement with CBRE’s Walk for a Wish program—the company’s signature charity event in the Asia Pacific region—which sees staff and clients around the region concurrently walk 10 kilometers to raise money for locally selected charities.